The Early Bird Gets the Worm and the Bucks! O.K., here's how our "Early Bird" program works. Our ALL INCLUSIVE rallies are always limited to 56 participants. We like to keep them small and intimate to ensure First Class Service and 5 Star Treatment. Because of the LIMITED AVAILABILITY, you may want to RESERVE your spot early. This can be done with an "Early Bird" deposit. The opportunity to pay an "Early Bird" deposit will come as each rally has begun being built. Prior to any pricing or any itinerary details. you can do so with an "Early Bird" deposit in the amount of $250.00. If, after the rally is built, and pricing and itinerary are finalized, you decide it's not what you had in mind and you don't think your funny bone can stand it, we will give you a full refund of your $250.00 "Early Bird" deposit. If, after the rally is built, you are thrilled you have a spot and can't wait to get started, we will match your $250.00 "Early Bird" deposit with $ 250.00 in RiVoli Rallies Fun Bucks for a total deposit amount of $500.00. 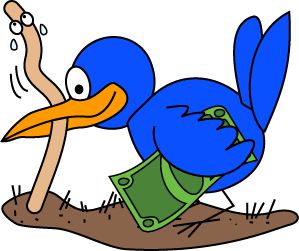 ​That's right, we are going to give you $250.00 in RiVoli Rallies Fun Bucks just for taking a chance, grabbing the worm and booking early. prior to the rally start date! Matching only takes place on what is determined to be an "Early Bird" deposit and is limited to $250.00 which will be deducted from your final rally payment. ​ALL INCLUSIVE LIMITED AVAILABILITY FIRST CLASS GUIDED RV TOURS! CLICK HERE IF YOU WANT THE WORM AND THE BUCKS! Click Here To View More Radical Reductions!